*Note: While it has been traditionally known as the Ringe house, Thomas Franklin Waters wrote that the old Ringe house was removed to Central Street, and that the present house was built by Abner Harris. Deeds and maps are provided below. The first recorded deed of a house on this location appeared in 1742, when John Holland sold the property and “ye House as is now finished standing there” to Daniel Ringe, a veteran of the French and Indian Wars (84:201) for “35 pounds lawful money” bordering on William Caldwell, Joseph Fowler and Phillip Fowler. Daniel Ringe sold the northwest corner to his son, October 19, 1793. The widow Ringe gave a homestead to her son, and daughter, Anna wife of Elisha Newman. Nathaniel Caldwell married the daughter of Elisha Newman, who became heir of half the house, and bought the interest of the widow Sarah Baker Ringe, who lived in the old 1742 Holland house. Daniel Goodhue and his wife Hannah sold a small plot, abutting on Elisha Newman’s heirs on the Ringe estate, to Abner Harris, May 1, 1800 (182: 255) for $130.00, bordering on the land of Newman, Rindge and Goodhue. 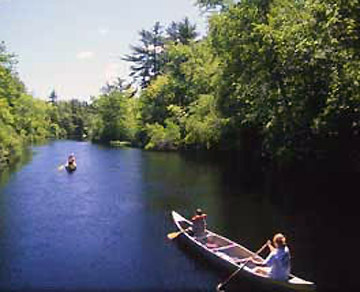 In 1886, Mary Baker, wife of John Baker, purchased the same property from Carolyn Hodgkins, widow of John Hodgkins; “southeasterly by land of Joseph Caldwell, southwesterly and northwesterly by land of Kate G. Titcomb, and northeasterly by high street, being the same premises conveyed to my late husband by John Hodgkins Jr. by Charles Kimball, administrator of the estate of Abner Harris deceased.” (1186; 299). The 1910 Ipswich map shows J. H. Baker at 42 High St. The 1832 Ipswich map shows the Goodhue house at 44 High St with the homes of Abner Harris, Ringe, and John Lord between it and the Caldwell house at 40 High St. If correct, it appears that John Lord owned the historic William Caldwell house in 1832. 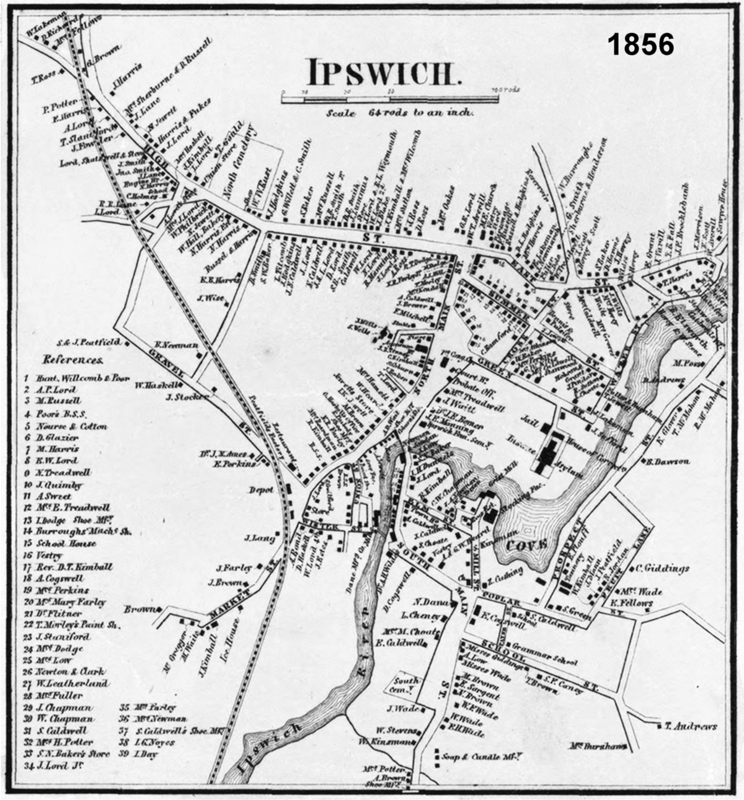 The 1856 Ipswich map shows the house at 42 High St. belonging to J. Hodgkins. Lewis Titcomb house owned the house at 44 High St. At 40 High St. is the William Caldwell house still standing as well. Bonest Norton sold to Thomas Lull, the house and land given him by his father, Wm. Norton, deceased, April 9, 1695. Lull conveyed it to John Holland, May 22, 1708 (23: 9). John Holland, son of John, sold the east half of the estate of his father, abutting on Caldwell, to Daniel Ringe, ‘and ye house as it is now finished standing there,’ Nov. 6, 1742 (84: 201). John Holland and George Newman, the executors of the will of their mother Elizabeth, sold Ringe the other half of the property, with a house, Jan. 31, 1743 (86: 31). The language of the deeds seems to imply that the house sold in 1742 was just completed at that time, while the other was the original homestead. 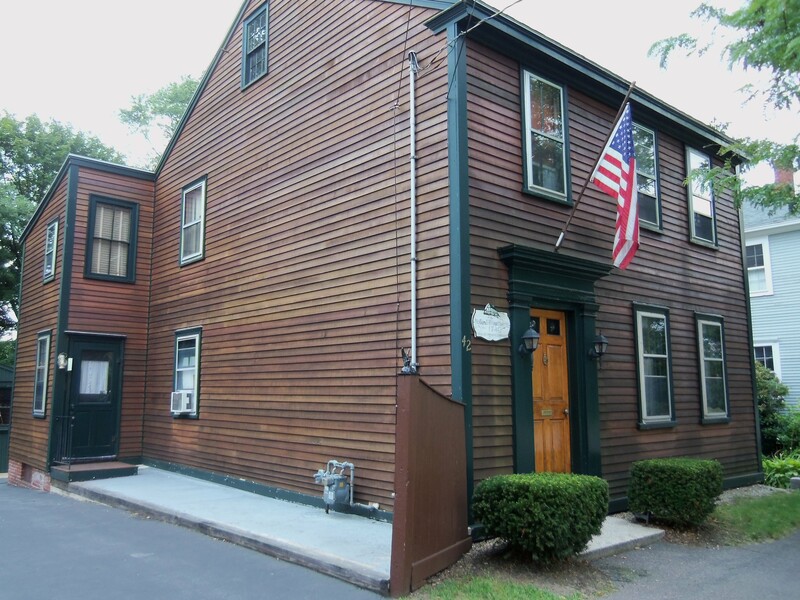 The first Daniel Ringe arrived in 1648 and bought property from Thomas Emerson on Turkey Shore Road, adjoining the Emerson-Howard house which still stands. We read that Daniel Ringe was ordered to tend to the cows on the “green before Mr. Rogers house.” (the South Green), and that in 1661 Daniel Ringe was licensed to keep an ordinary (inn) at the location on Turkey Shore Road, but “not to draw beer above a penny a quart, and to provide meate for men and cattle.” In 1769, the land was sold by a later Daniel Ringe, son of Samuel Ringe. Captain Daniel Ringe who had been a soldier in the Indian wars in his younger days, and a prominent citizen, died on November 30, 1738 at the age of 80 (or 84). He owned the homestead adjoining the Howard house on Turkey Shore Road, and his will indicated a sizable estate. A Daniel Ringe worked as a fisherman at the turn of the 18th Century. His body was never found after his fishing ship was attacked by indians in an attack near Penobscot Bay in 1724. Ipswich in the Massachusetts Bay Colony by Thomas Franklin Waters, vol. I, p. 361, vol. II, p. 236.